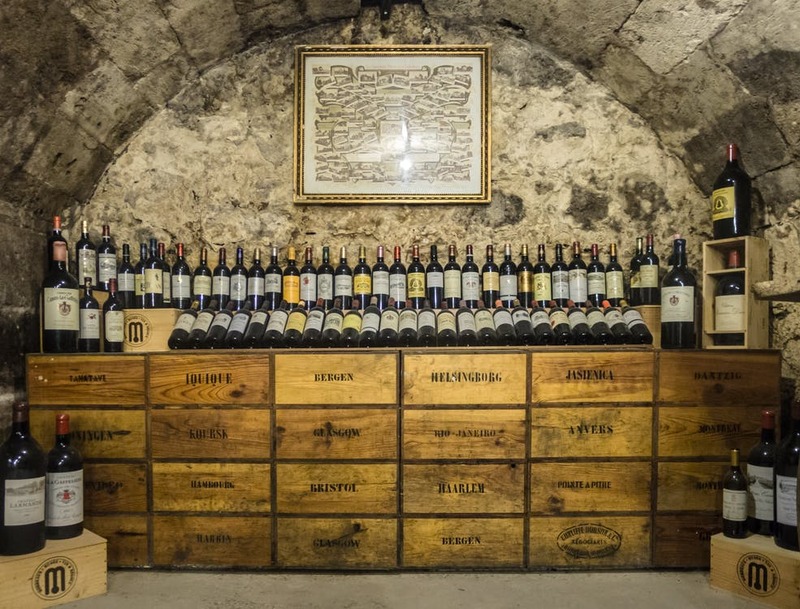 A case of Chateau Lafite-Rothschild 2010 is a wine lover’s dream, and one of the many things that make this vintage so collectable and covetable (and expensive) is the fact that even though the wines share the same vintage, each bottle will have its own unique flavour. Like wood, wine is beautifully unpredictable, with a distinct personality that matures, changes and improves over time. If fashion rather than wine is your thing, think about a black, quilted lambskin Chanel bag. Each bag is handcrafted and hand stitched and comes with its own unique code; it won’t be the same as any other bag, even if it’s the same design, from the same collection and technically the same colour, because leather is a natural material, and will ultimately do its own thing and absorb the dye differently. This is what makes it so special – the fact that no-one else in the world will have the exact same one. When you opt for a bespoke piece of furniture, crafted from lovingly nurtured, aged oak, one of the many things that make it so special is, as with the wine and the Chanel bag, it’s uniqueness. Someone might want a similar look, design and style, but by virtue of the tree from which it’s been crafted and the forrest from which that tree was felled, it won’t be the same. Whenever we design and craft a new staircase, we like to talk to our customer’s about the materials we use. With regards to wood, the trees we use are ethically sourced, and are left to grow until they are at least 100 years old, when the tree is at its prime. Characteristics of premium hardwood can include medullary rays, ribbon-like radial sheets that extend vertical through the tree; knots, which are often referred to as the ‘fingerprint of natural timber’ and graining, which happens because, like humans, trees grow and mature at different rates (the more mature the tree, the more distinct the grain). These individual quirks are what makes wood unique and beautiful – and yet, sometimes people mistake them for flaws. 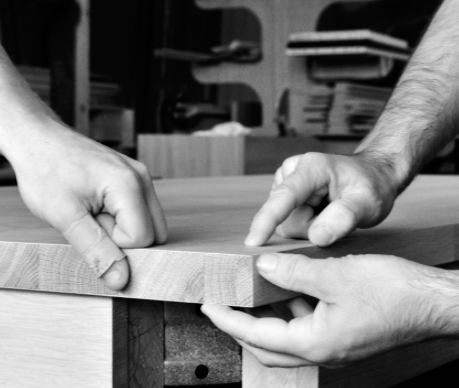 If clients ask us for an individual, seamless aesthetic we will of course do our best to ‘grain match’ and make sure the wood is as uniform as possible, but because a staircase will comprise timber from several different trees, there will be staircase will be crafted from several trees, there will be differentiation. Again, this isn’t a negative, it’s a positive, and why people opt for real oak rather than, say, veneer in the first place. 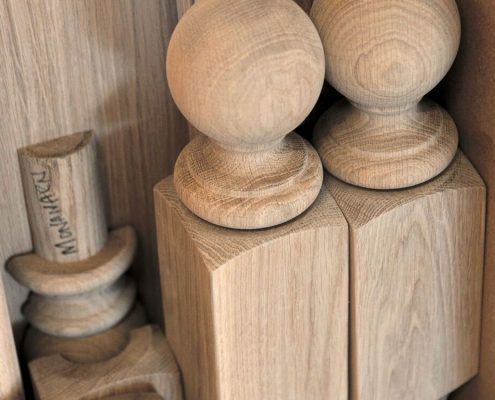 The point we’re trying to make is that we’re passionate about wood and one of the things we love most about this incredibly versatile material is the fact that each piece we work with is different, and responds differently to how it’s crafted and treated. So when you see a knot or a ray or a mark, think of it as that tree’s freckle, mole or distinguishing characteristic. Something which adds to the wood’s beauty. To see more of our classic staircases, or to start planning your new project, click here.